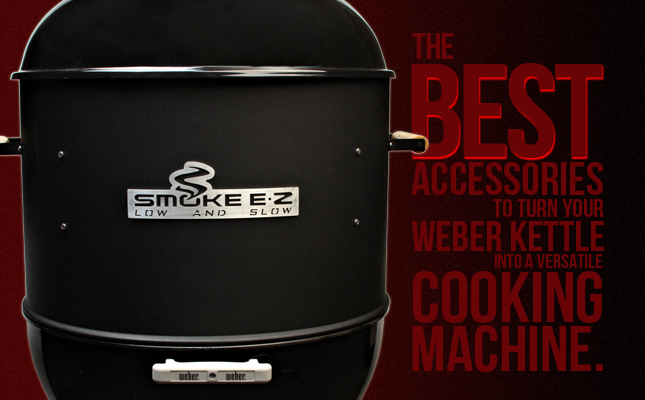 Smoke E•Z (Starting at $200.00) – There are times when the Weber Kettle just can’t offer you what it’s tall thin cousin, the Weber Smokey Mountain, can. The Kettle is without a doubt one of the best, and certainly most iconic, grills on the market, but it doesn’t offer you the chance to do real low and slow style barbecue. Enter the Smoke E•Z. 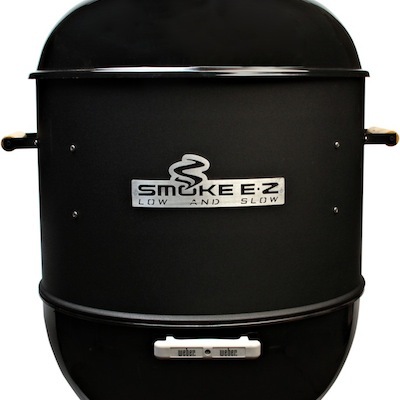 The Smoke E•Z turns your Kettle into a bullet style smoker! The system includes an insert that drops between the top and bottom halves of your Kettle, a hanging rack, a coal ring, and a water pan. With this simple setup you can take your cooking to the next level, and add versatility to the cooker you already own! – The Smoke E•Z is available for your 22.5″ or 26.75″ Kettle. KettlePizza (Starting at 129.95) – I’ve been raving about the KettlePizza since I first cooked on one last fall. What blew me away about this product is not how wonderfully it cooks pizza (though it does), but why no one had come up with it before now! The KettlePizza is similar to the Smoke E•Z in that it is an insert that extends the area between the two halves of your Kettle. 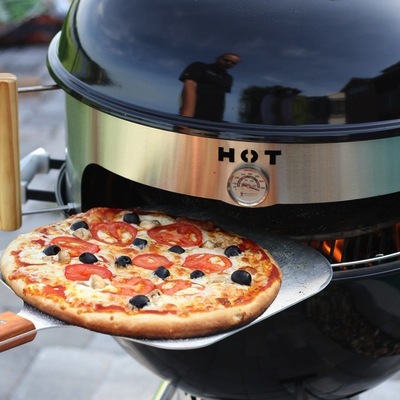 The front of the KettlePizza has a dome shaped cutout that allows you to slide pizza in and out efficiently, and includes a handy thermometer that tells you when you’re ready to cook! Where the KettlePizza really shines is it’s ability to soar past the 800º mark, and it does so with ease. – The KettlePizza is available in standard or deluxe kits and fits your 18.5″ and 22.5″ with an available extension for a 26.75″ Kettle. Smokenator (Starting at $59.95) – The Smokenator is one of the most affordable and useful accessories ever invented for the Weber Kettle. 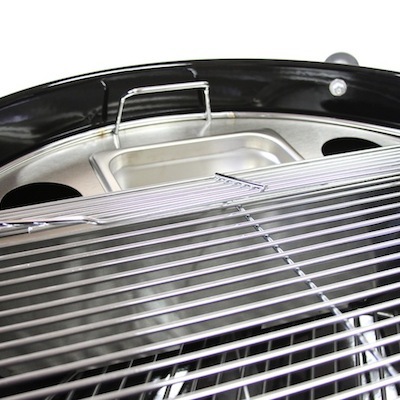 The classic 22.5″ Smokenator costs less than $60, yet turns your Kettle into a versatile smoker. Much like the Smoke E•Z, this accessory is all about low and slow. The simple design makes it easy to use, and the price makes it a no-brainer! You cannot cook directly over the unit as the heat would burn any food there, leaving about 80% of the Kettle for food. This makes the Smokenator great for smoking smaller pieces and quantities of meat such as chicken wings, pork chops, ribs, etc. If you’re looking to do a large cut of meat like pork shoulder or a full turkey, you’ll want to make sure you have the room, or jump up to a Smoke E•Z which gives you the full cooking space plus a second rack. – The Smokenator is available for your 18.5″, 22.5″ or 26.75″ Kettle. Weber Gourmet BBQ System (Starting at $27.99) – This system from Weber is one of the most flexible and useful accessories for the Kettle that we’ve seen. With this system you can drop a Sear Grate, Griddle, Wok, or a Pizza Stone into the center of your Kettle. The versatility of this accessory is amazing, and the fact that you only need to buy the pieces you want or need may just be the best part! 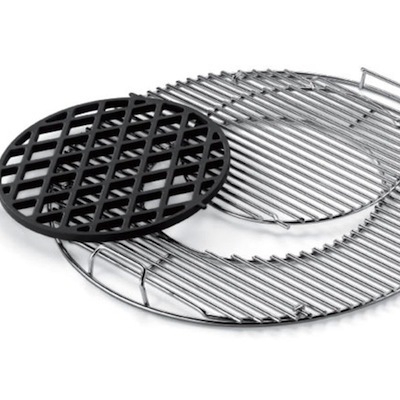 Weber Kettle GrillGrate Set ($109.99) – These GrillGrate panels are 5.25″ wide x 20″ long and cut to fit a 22.5″ Weber Kettle. Constructed of aircraft grade anodized aluminum, these grates are harder than stainless steel and will never rust. 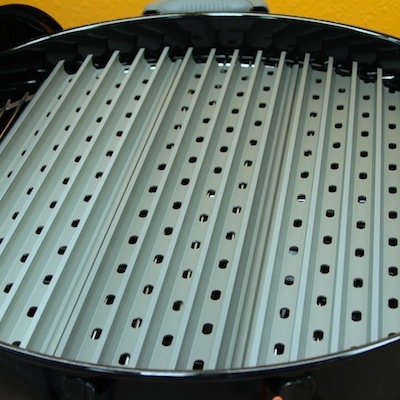 These grates allow you to get infrared style heat directly at the grate allowing you to soar past 800 degrees, and sear in the flavor and juice of your meat. The design also minimizes flare ups and makes cleaning a breeze.